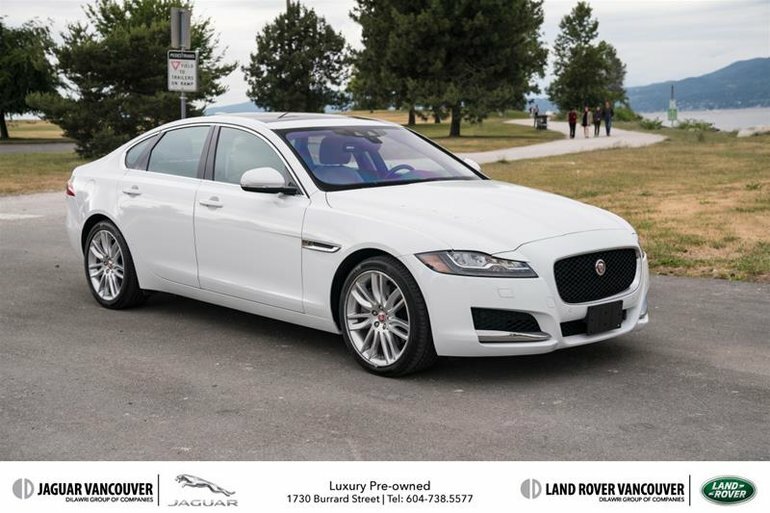 Admire the impeccable engineering behind our redesigned 2017 Jaguar XF Prestige All Wheel Drive brought to you in Polaris White. Under the hood is a Super Charged 340hp 3.0 Litre V6 that is perfectly paired with a responsive 8 Speed automatic gearbox. Our sedan soars to 60mph in 5.2 seconds, scores near 8.4L/100km, and provides brilliant handling that is quintessential Jaguar. The unique stance of our XF Prestige commands attention with its sleek 19 inch wheels, sunroof, xenon headlights, and LED taillights. You'll appreciate the masterfully crafted cabin with a wealth of amenities including key-less entry/ignition,a heated steering wheel, automatic wipers, dual-zone automatic climate control, and an auto-dimming rear view mirror. Relax in the heated leather seats, take in the ambiance provided by the sunroof, and maintain a connection thank to tech conveniences including a prominent touchscreen, Bluetooth, smartphone app integration, navigation, premium Meridian audio and more! You'll travel safely in this flawless luxury sedan with traction and stability control, anti-lock brakes, airbags, a blind-spot monitor, rear view camera, and parking sensors. It's time to reward yourself with the art of driving that can only be provided by Jaguar. Print this page and call us Now... We Know You Will Enjoy Your Test Drive Towards Ownership! *MCL Motorcars is a downtown Vancouver Dealer. Due to space limitations, all Pre-Owned vehicles are kept off-site - Please book your appointment today so we can bring your vehicle on site before for your arrival. All Prices are plus $595 documentation fee. 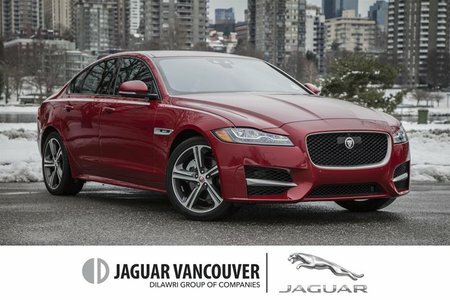 Interested by the 2017 Jaguar XF 35t 3.0L AWD Prestige ?